Well guys, the holiday season is over, but there’s still a few days before the New Year! As such, let’s close out 2018 with some interesting new games to play, including the usual stuff. Not a ton this week, but I’m sure there will be plenty more in 2019. Let’s see what’s worth playing! 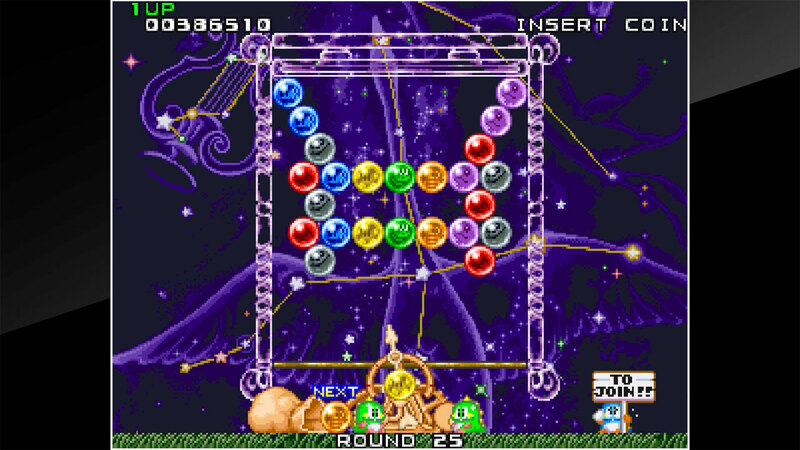 The highlighted game (and yes, I mean singular) for today is from a series I’m not personally that familiar with. 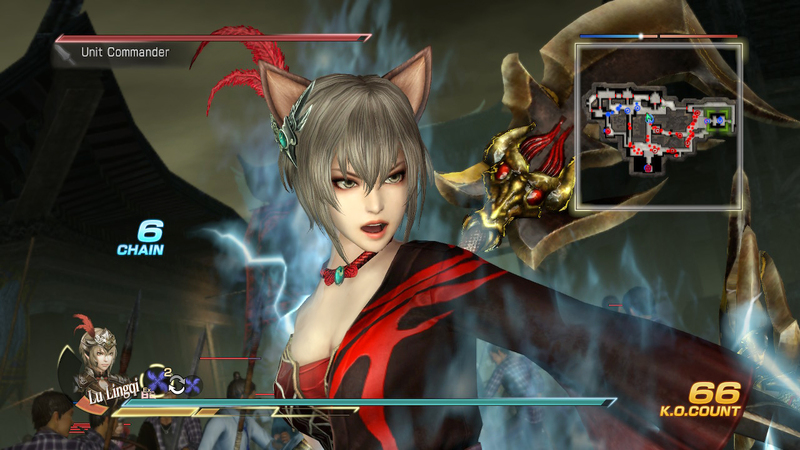 But if you like Musou games, you’ll be excited. Dynasty Warriors 8: Xtreme Legends Definitive Edition is out today, and offers fans a lot of reasons to be thankful. Explore the Romance of the Three Kingdoms playing as a variety of classic heroes, including the warrior Lu Bu. Best of all, this version includes all the DLC from previous iterations of the game, so you’re getting your money’s worth. Let’s continue now with some activities worth checking out. Splatoon 2 Frosty Fest – Fans of the Splatoon 2 game have plenty of reasons to start inkin’ online*. 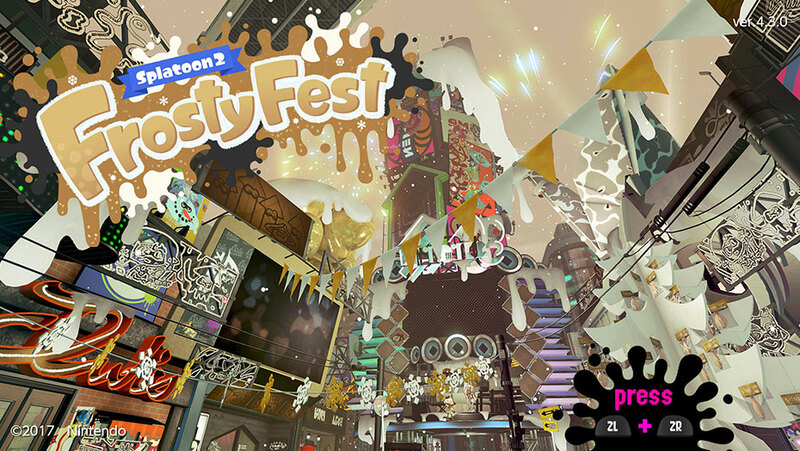 Frosty Fest will turn Inkopolis Square into a festive winter wonderland. Inklings and Octolings will even get to use some very fancy glitter-filled ink! In keeping with the season, this special Splatfest asks: Who do you get most excited to spend the holidays with: Friends or Family? Choose a side and battle it out from Jan. 4 at 2 p.m. PT to Jan. 6 at 2 p.m. PT. You can also get seasonal gear that will be distributed via the Splatoon 2 News channel on your Nintendo Switch system. Look for these free gifts in late December. Need a reminder? Redeem your My Nintendo points** now for a themed wallpaper featuring the special gear. Super Smash Bros. Ultimate Piranha Plant – Don’t forget that My Nintendo users who purchase and register the Super Smash Bros. Ultimate game by Jan. 31, 2019, will receive a download code for Piranha Plant, which will join the battle as a playable character when it’s available. On the sales front, there’s still plenty of new games worth checking out. If you love Metroidvanias with a unique aesthetic, you might enjoy Hollow Knight (Switch) for $9.90; if you missed out on Mario + Rabbids Kingdom Battle (Switch), the price has been drastically reduced to $19.79; for those new to Shovelry, Shovel Knight: Treasure Trove (Wii U and Switch) is discounted to $19.99; fans of platforming might enjoy Digerati Indie Bundle: INK & HackyZack (Switch) for only $5.09; or if you prefer beat-em-ups, you might prefer Coffee Crisis (Switch) for $6.66; for fun with explosions, there’s always Ms. Splosion Man (Switch) for $8.99; for a colorful puzzle game, you might check out Steamburg (Switch) for $3.74; for fun in space, you can try Astebreed (Switch) for $15.99; for your action RPG fix, there is Moonlighter (Switch) for $19.99; or for those who love fairy tales, you may enjoy Child of Light Ultimate Edition (Switch) for $9.99; for more platforming mayhem, you might enjoy Giana Sisters: Twisted Dreams – Owltimate Edition (Switch) for $26.99; fans of adventure games might like a steep discount on Broken Age (Switch), now for $4.49; for ninja rabbits, look no further than Ninjin: Clash of Carrots (Switch) for $4.49; or for some fun bullet hell, try Azure Reflections (Switch), half off at $12.49; tactical fans can get a lot of enjoyment out of Into the Breach (Switch) for $10.04; for fun with bombs, try out Burnstar (Switch) for $9.99; for cowboy hilarity, just go West of Loathing (Switch) for $7.70; for a new take on a classic, give a look at Lode Runner Legacy (Switch) for $5.99; for submarine fun, try Aqua Kitty UDX (Switch) for $4.49; or for platforming insanity, try out ATOMIK: RunGunJumpGun (Switch) for $5.59; to enjoy some horror, there’s The Count Lucanor (Switch) for the low price of $2.99; for a uniquely Switch only game, try out TumbleSeed (Switch) for only $4.94; or for fun with portals, enjoy Mr. Shifty (Switch) for $7.49; for a reason to play an old console, get Back to Bed (Wii U) for $1.99; and lastly, for some creative mayhem, there’s Noitu Love: Devolution (3DS and Wii U) for $3.99. There’s a metric ton of other games on sale, so just click here to see everything else. Finally, there’s a small handful of new digital titles to close out 2018. If you love retro, you might enjoy ACA NEOGEO Puzzle Bobble or Arcade Archives Donkey Kong Jr. For fun with dirt, there’s the old school inspired Diggerman. 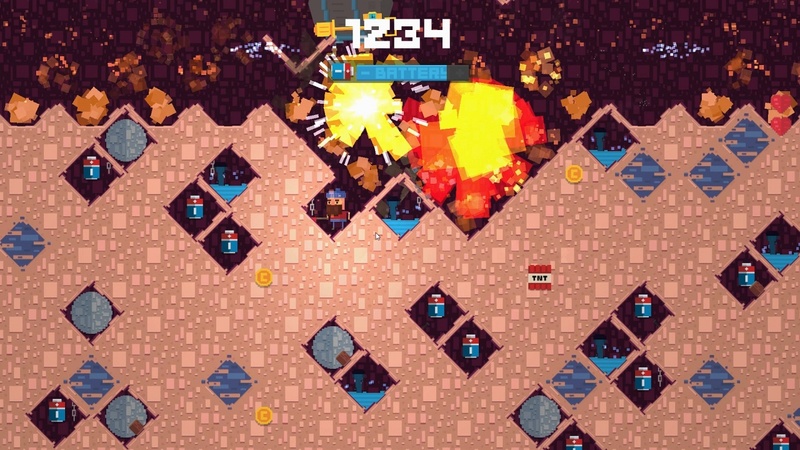 Or for robot mayhem, there’s Mech Rage. 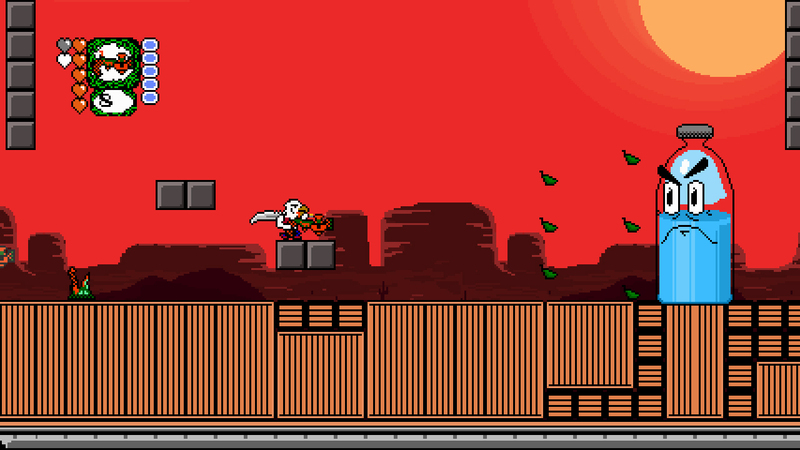 And lastly, for something truly strange, check out Revenge of the Bird King. Well, that’s it for 2018 guys and gals. At least as far as the Nintendo Download is concerned. It’s been a hectic, jam packed year full of amazing games. Be sure to tune into oprainfall in 2019 for even more of them!